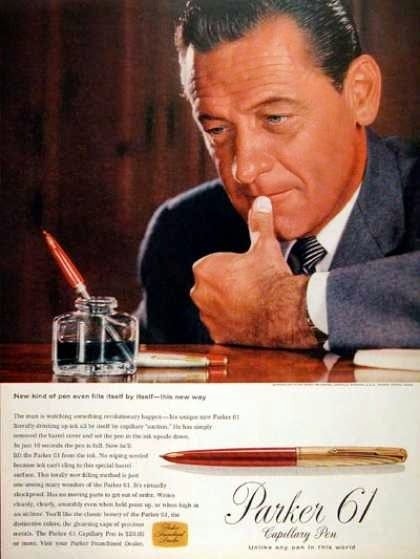 I am probably the only fountain pen collector who doesn't have a Parker 51 or 61. So, I have had my eyes on them for several years. But up until recently had not found one of the quality/style I would like, and that I could afford. Yesterday - with the help of a very pleasant eBay seller - I purchased my first Parker 61 (pictured here). I had been searching for either the black plastic model like this one, or the stainless steel Flighter. I don't care for the gold trim versions, so that limited my choices considerably. This set is in mint condition, and included the mechanical pencil, as well. While, I have not received it yet - I already find myself with the dilemma of whether or not I should use it. I buy pens to use them, not as collector pieces to be displayed. But this set almost seems like it should be kept in pristine condition. Plus, from what I have seen from other owners of the capillary fill system, they are not very easy to clean. Hmmm...I probably won't be able to just store it away, since I originally wanted these as daily writers. My only other matching pen and pencil set is a Cross ATX, before they were made in China - same color scheme: black and chrome. 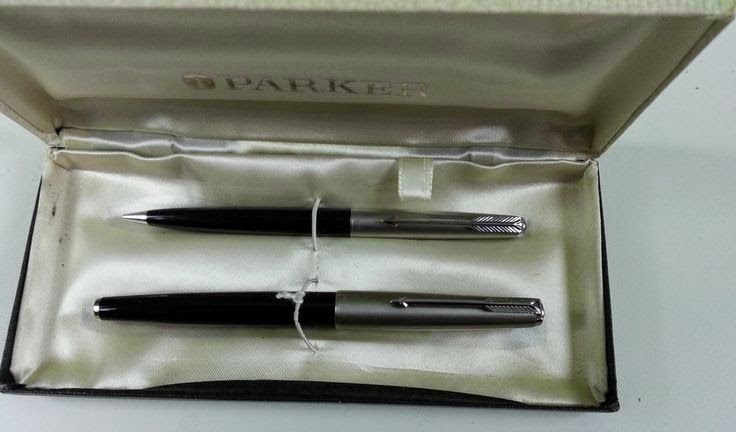 If you have one of these Parker 61 sets, I'd love to read your impressions...please add a comment.